Take the family on a three, four, seven or eleven-night Fijian cultural voyage of discovery and fun and have half the family pay half the price and save up to $2870 for two adults and two kids aged 5-17 years with Captain Cook Cruises, ‘Family Fare 50% Off Sail’. The sale is valid for travel from 1 May 2018 and on sale until 30 June 2018. All cruises are aboard the 130-passenger, fully accommodate MV Reef Endeavour, equipped with a hydraulic platform to make getting on and off the ship easy. Offering a truly heart-warming cultural experience for the whole family, visit remote Fijian villages and schools, interact and play with local children, experience a Fijian church service and a traditional village Sevusevu ceremony, Meke and Lovo feast. As well as being immersed in Fijian culture, families will have hours of fun kayaking, paddle boarding, snorkelling over coral reefs, playing or relaxing on white sandy beaches, swimming in crystal clear waters, and learning about marine life on a glass bottom boat ride. Adults can have the extra thrill of experiencing this spectacular underwater world with mind blowing scuba diving operated by Viti Water Sports, a PADI5 Star Dive Centre Dive onboard Reef Endeavour. Two or three dives are offered most days and always in different locations. Onboard there is fun for the whole family. Be pampered at the ship’s Senikai Day Spa featuring a KIDZPA menu, play a board game or watch a movie in the lounge, swim in the ship’s pool or jacuzzi, or simply relax on the open top deck and watch the breathtaking scenery go by with a cocktail in hand for mum and dad. A Complimentary Captain’s Kid’s Club is available, allowing parent’s time to relax while children have fun, make new friends and experience and learn about Fijian culture. Captain’s Kid’s Club is for children 5-9 years and operates between 9.00am and 12noon, 2.00pm to 5.00pm and 6.00pm to 9.00pm allowing parents to have a relaxing dinner. Dining is another vital ingredient of these amazing cruises. Whether it is an alfresco luncheon, a casual barbecue or table d’hote dinner, all food is prepared on board from fresh local and imported produce and a full kids menu is available. Captain Cook Cruises offers a range of family accommodation from family Porthole cabins that sleep four to inter-connecting Ocean family staterooms. 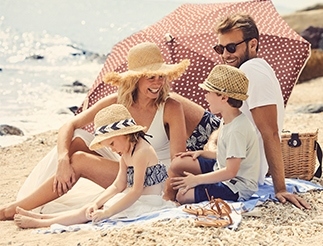 ‘Family Fare 50% Off Sail’ rates start from AUD$1535 per person, twin share for the first adult and AUD$767.50 per person, twin share for the second adult and from AUD$480 per child, for the first child sharing with an adult and AUD$240 per child for the second child sharing with an adult in a Porthole Cabin on a three-night Mamanuca and Southern Yasawa Islands cruise.